October is here and we’ve got a spooky vintage collection that is perfect for Halloween! Inside you will find a gorgeous patterned and designed 12″ x 12″ Authentique Nightfall paper collection, along with custom inspiration on the other side. 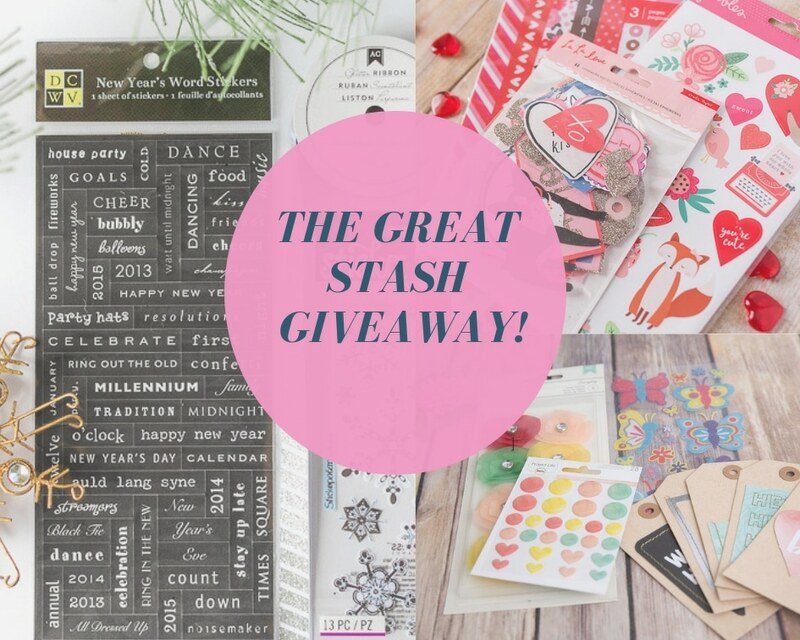 This kit includes 4 cardstock pages, 8 beautifully patterned pages and one 12” x 12” coordinating cardstock sticker sheet. This collection is perfect to document all of the Halloween fun! The papers in this collection include creepy spider webs, pumpkins, bats, witches, black cats, and more Halloween elements. The colors in this kit are absolutely perfect for this special holiday; tones of black, orange, and red are prominent throughout the patterned pages. Check out the YouTube video below to see the whole kit reveal! 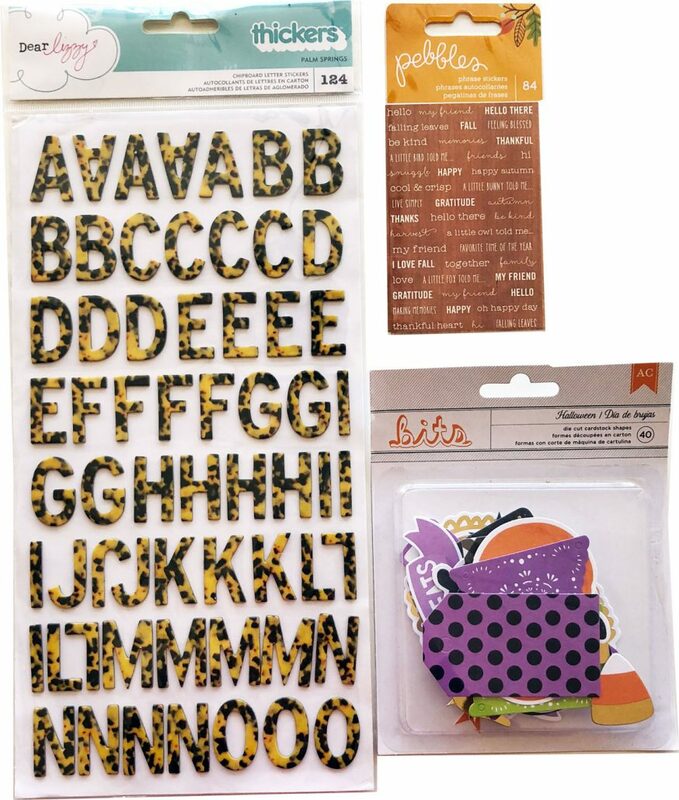 For those customers who opted to double your stickers and embellishments, we’ve got some fantastic embellishments inside this month’s package! Included in your package are the perfect upgrades to enhance your scrapbook kit. All 3 upgrades this month are great for any crafty project using this enchanting kit. The black tortoise Thickers are great alpha stickers to title any layout! 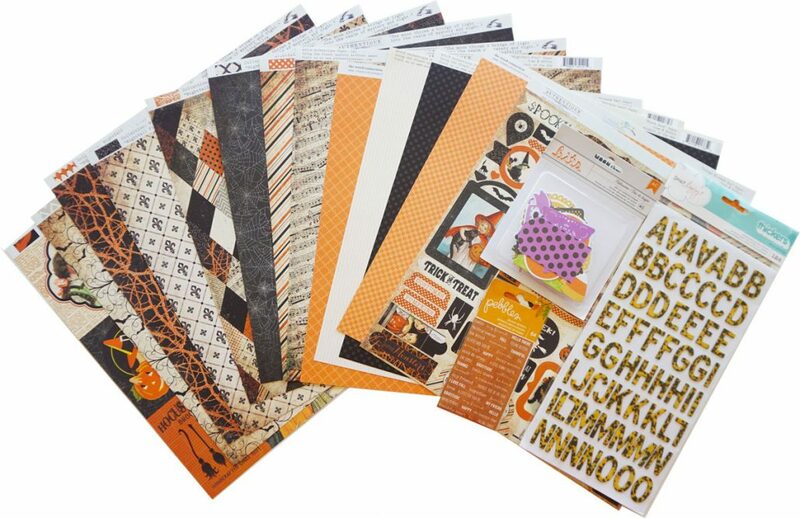 The colors are so perfect for Halloween and we think you can get some great layouts using these Thickers. The die cut ephemera pieces will add even more dimension to your Halloween related layouts with pumpkins, candy corn, colorful tags, and more! 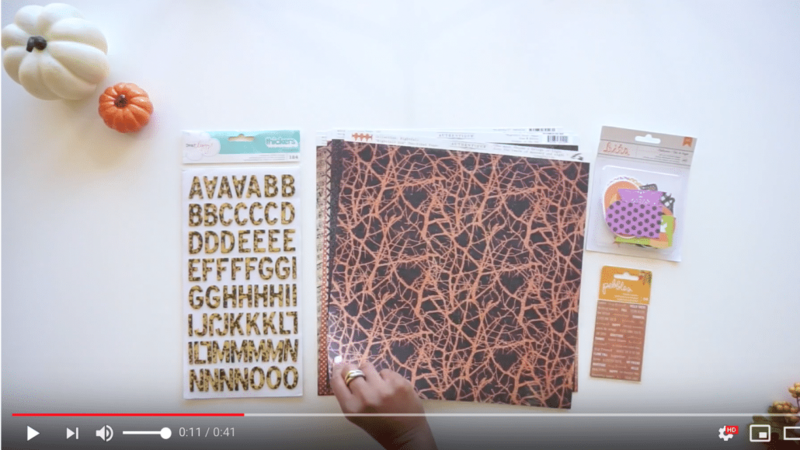 Lastly, we just love the orange phrase sticker sheet that includes phrases like “thankful,” “gratitude,” and “favorite time of the year” that will be perfect for your fall layouts. We are so excited about this kit and we hope you are too! We can’t wait to see what you create. If you have not upgraded yet but would like to do so, please email us at info@scrapbookingstore.com.